A pleasant source of light: shapeable to form a circle, a star or whatever shape works for your surface. Design: Eva Schildt for Klong, Sweden. 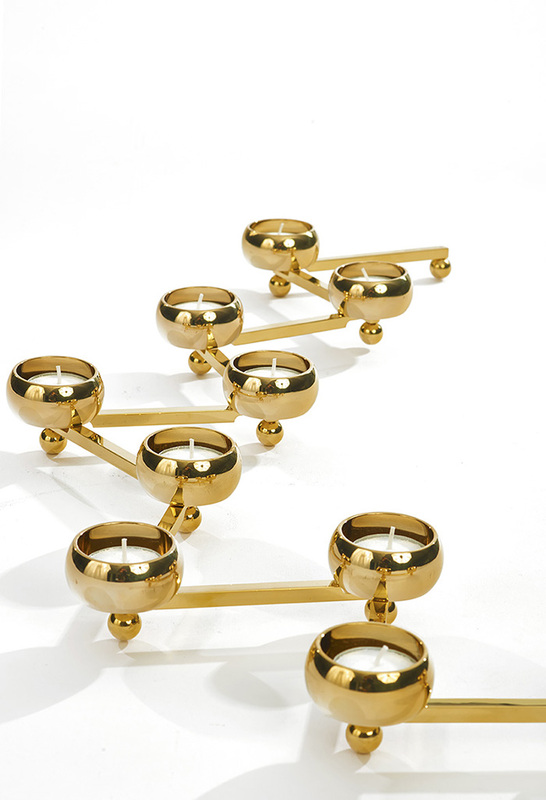 5 hole: stretches to 24"
Designed for tea lights, glass fittings are also available and sold seperatly, to accomodate flowers making it an all in one centerpiece.